A fantastic family run pub in the Somerset village of Charlton Musgrove near Wincanton, Bruton and Stourhead. 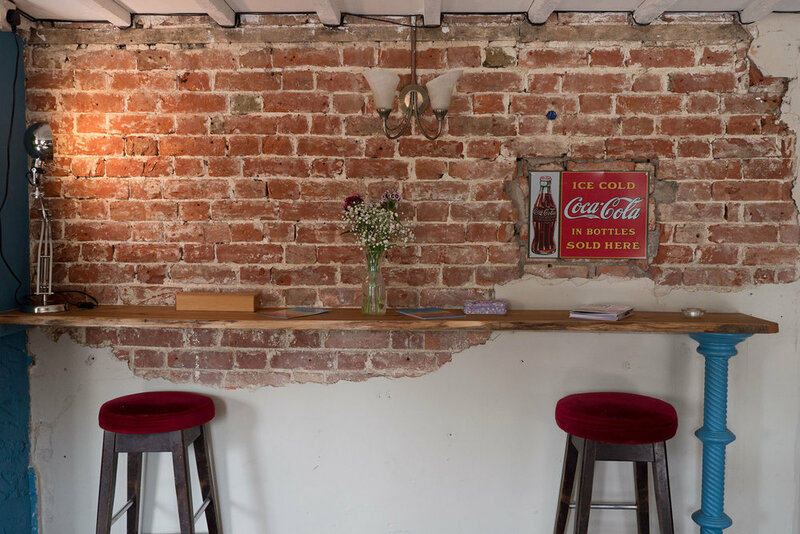 Owner Rebecca has created a quintessential English country pub with a modern twist. Lovingly renovated, The Smithy has reopened with a stunning new look, exciting daily menu and sun drenched beer garden. Now looking better than ever, the rustic yet contemporary interior has a friendly vibe that will make you feel very much at home. With a warm welcome and super tasty daily menu showcasing fabulous locally sourced produce, The Smithy invites you to come and relax, enjoy their hospitality and rediscover this Somerset gem. For six long years The Smithy lay abandoned and empty. Attempts by locals to raise funds to reopen as a community run pub were unsuccessful but it was clear that the residents of Charlton Musgrove and surroundings were crying out for the pub to be saved. Eventually new owner Rebecca stepped in and injected life and warmth back into the much loved old Inn. Dating to the early 1800’s, the building was in a sad state of disrepair when Rebecca finally got the keys in June 2016. Over a nine month period, Rebecca and a team of skilled local craftsmen set about totally gutting and redesigning the interior layout, re-positioning the bar and making exciting discoveries such as the feature fireplace that is now the centrepiece to the lounge area. She also spent time searching local auctions and salvage yards to find interesting decor pieces including the tables and bar top which have been made using reclaimed cheese boards from Wyke Farm in nearby Wyke Champflower. With an eclectic mix of vintage and antique furniture and rugs, the look is rustic and homely with a characterful contemporary vibe. Our list of real ale and cider is ever evolving and changing . . . Abbot Ale, Ruddles Best, Greene King IPA, Orchard Pig Ginger and Chilli Cider, Rosie's Pig, Thatchers Gold, Orchard Pig Philosopher and Navelgazer Ciders, Thatchers Haze, Staropramen . . . rest assured there will always be a quality pint here to quench your thirst. Contact us if you would like to know what's on tap today.